The best part about using WhatsApp is the ease with which you are able to send messages, pictures, videos, and GIFs to your contacts, free of cost. You would have noticed that WhatsApp pictures are automatically saved to your phone, particularly on Android smartphones. 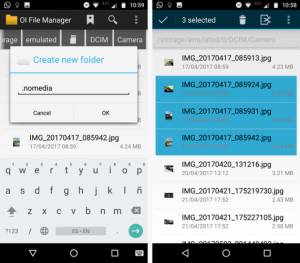 It may be handy, in some cases but if you don’t want your smartphone to store photos sent to you on WhatsApp in the Gallary as they take up space and anyone could just open your gallery and look at the pictures invading your privacy. If you really want to stop Gallery saving your WhatsApp files. How can you stop this happening on your Android smartphone? Let’s find out a simple hack we have compiled for you. Did you know about this hack? Let us know in the comments below.